NEO RUBBER's PP CORD LOCK SEAL is a sealing system for plastic pressure pipes. It is an integrated system where the seal and mandrel act together as a tool to form the pipe socket during pipe manufacture. 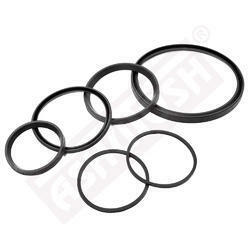 With the valuable assistance of skilled team of professionals, we are engaged in offering an extensive range of high-quality Rubber Seal Ring. We manufacture Gaskets of all shapes and sizes customized to your needs for various fittings. Polymers used are Natural, Nitrile, EPDM, SBR, Silicone and Viton. To avoid leakage of water from joint specially designed seal ring used as per customer requirement. 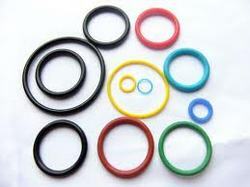 Owing to our rich experience in this domain, we are engaged in offering Rubber Sealing Ring. We offer these rings in orange, black, brown, blue and green colors in different sizes and specifications that can be customized as per the requirements of our clients.